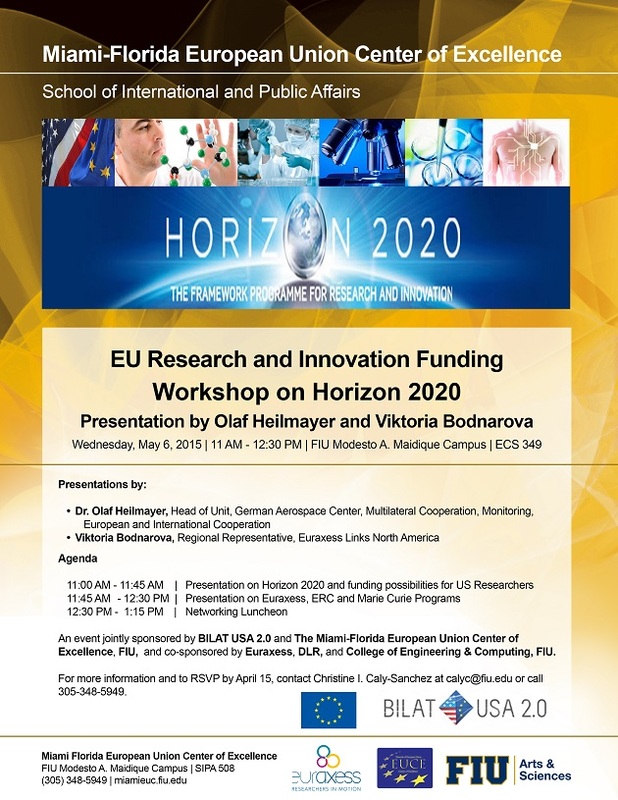 The Miami-Florida European Union Center of Excellence is organizing a “Practical Workshop on EU Research and Innovation Funding - Horizon 2020". will present funding possibilities for US researchers; and will answer your questions on Horizon 2020, Euraxess, ERC and Marie Curie Programs. This event is jointly sponsored by BILAT USA 2.0 and the Miami-Florida European Union Center of Excellence, FIU, and co-sponsored by DLR, Euraxess, and FIU College of Engineering and Computing.